Digestive issues, bloating, indigestion, gas or how about lower back issues, or tight hips… all those issues, including IBS, benefit from doing this one simple yoga exercise. If you are putting together a yoga sequence for yourself, then Yoga Stomach Grind should not only be included, it should be the amongst the first few exercises you do. The dynamic nature of this exercise, works to massage all your inner organs, helping to cleanse and rejuvenate them. In addition, the rotation and stretching works to limber up your lumbar region and spine. It gets you ready for doing more intense exercises and sets, and in my Teacher’s Training Program, my teach (Ravi Singh), would almost always have us begin with this key exercise. 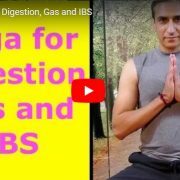 This simple yoga exercise has been introduced previously for helping you with your back, but I wanted to emphasize the important digestive and elimination benefits of this technique as well. Yoga Stomach Grind is the first exercise of the excellent Spinal Warm-up Series and you will find details of that set here. Yoga Stomach Grind is a key yoga exercise for the digestion and back support. Here on Mastery of Meditation & Yoga, it will be part of the following 2 free online e-books: Free Yoga Videos and Online Kundalini Yoga Exercises. 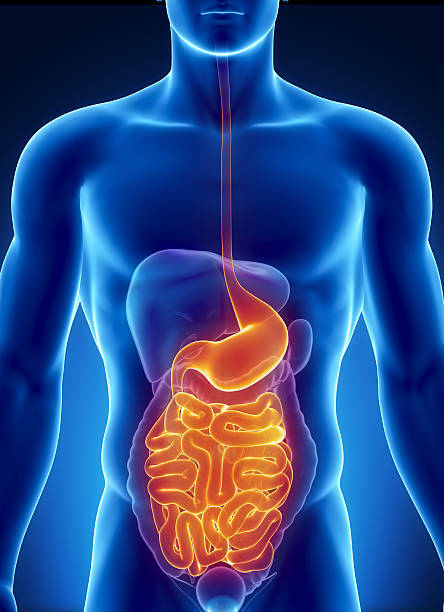 Today, we’re going to learn an excellent exercise for your digestive system and for your elimination system. It massages all your internal organs, pushing out waste and toxins. If you’re suffering from IBS, gas, bloating, or other digestive elimination issues, this is an exercise that you should definitely include in your wellness routine. This exercise is also excellent for your lower back if you’re suffering from lower back pain or discomfort, or if you want to prevent lower back pain or discomfort, this is an excellent exercise to do as part of your fitness regimen. Also, this exercise is very, very good for starting off the yoga session with. So, in classes I teach, this is an exercise I include as my warm-up for those classes even for my personal practice, this is a staple of my warm-up routine prior to doing any intense yoga sets or kriyas. So, to do this exercise, you’re going to hold on to your knees and you’re going to grind your stomach in a big circle. You’re going to go counter-clockwise first and then, you’re going to go clockwise second. So, all you’re going to do is to grind your stomach in a big circle. Visualize, drawing a circle with your navel. As you move to the sides, you can use your arms as levers to accentuate the stretch. You should feel a good stretch in your lumbar region, your lower back region, and as you’re arching forward, you should feel a good stretch along the sides of your torso. You can inhale as you come forward through the nose and as you push back, you can exhale. The exercise feels very, very good. It provides a lot of relief to your spine and lower back region and hips. And then you can go the other way. You go the other way, switch directions, again inhaling as you come forward and exhaling as you go back. Grinding your stomach in a big circle. Now, the one mistake I notice people make in the classes is they, they lean forward as they are coming forward. So, you’re not to lean forward. As you come forward, arch your back forward. Let me show you from the side. From the side, you can tell as I’m coming forward, I’m arching my back forward and I’m arching my back-back. So, what you do not want to do is lean forward like this. That’s not going to do much as far as massaging your organs or stretching out your lower back, right? You want to be able to arch your back forward as you grind in a big circle. You can do one side for thirty seconds or a minute and then do the other side for a similar duration. 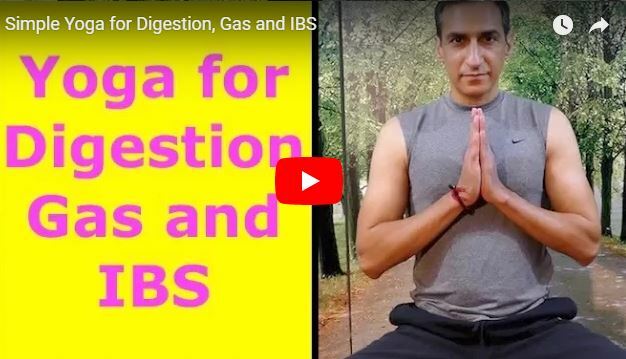 Once again, excellent exercise if you’re suffering from IBS, digestive elimination issues, great for your lower back, great for warming up your spine, which is imperative to do before a yoga set, especially a kundalini yoga set. Thank you Anmol for the article, very informative post. Definitely something to remember. Aw man, I’ve been doing this incorrectly all this time. Thank you for this video to clarify how it should be done correctly.